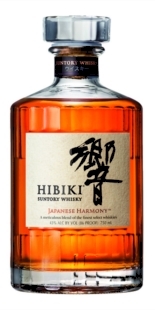 Extra Añejo rum from Guatemala, very appreciated amongst rum drinkers as one of the finest distillates. 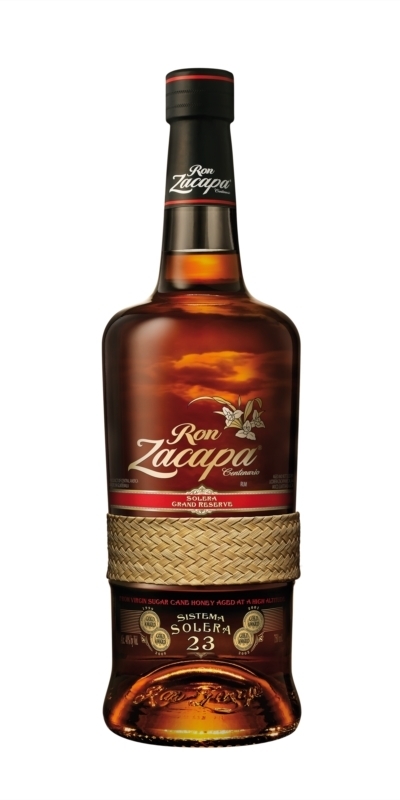 Zacapa rum is considered one of the best in the world. Aged and blended at La Casa de las Nubes at 2,300 mts above sea level. The fresh mountain air slows down ripening, which gives time for Zacapa to rest and develop its character. 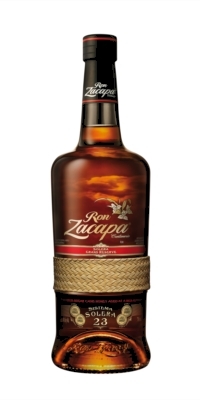 Zacapa employs a system only Solera process, based on the Spanish form with centuries-old aging wines from Jerez, mixing rums of different ages in a sequence of barrels that previously contained American whisky, sweet sherry sweet and Pedro Ximénez fine wines. Refined thanks to the craftsmanship and devotion, the entire process is supervised with mastery by the master blender Lorena Vasquez. The tropical climate and volcanic soil produce sugar cane of high alcohol level, and unlike most rums that use molasses, Zacapa is created from the first concentrated pressure from the sugar cane or of the "honey of the virgin sugar cane", which contributes to its award-winning taste. Opinions on Zacapa 23 años rum.